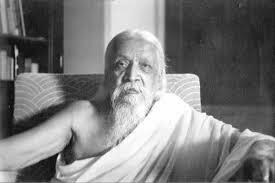 Sri Aurobindo was a philosopher par excellence, a poet par excellence, a rare and superb visionary of evolution. But that is not the complete truth about him. Further, he has been described as “the Hope of Man”. And Satprem, a disciple of Sri Aurobindo and the Mother, Mira Alfassa, has described Sri Aurobindo as “the Adventure of Consciousness”. He was not only an Adventurer of Consciousness, but himself the Adventure. Yes, He was an “Explorer of Consciousness”, and further, he was also the builder of the new world, basing on the new and a higher consciousness, the supramental consciousness, a much higher level of consciousness. And he has shown us the way, the integral way to the new realisation, not of realising the Divine Consciousness and merging into it, transcending and leaving the manifestation, the world and the universe, forgetting the mankind and its past and present and future. He did not teach us to have Nirvana, or Moksha, or of reaching the heaven and staying there forever hereafter. He did not ask us to return to the source, to the origin. He has given us a way to discover and manifest and realise our own possibilities, our human and also our superhuman and divine possibilities, step by step. He tells us about transforming our individual existence and also the world, breaking all our personal and egoistic limits, becoming one with our earth, as vast as our earth. Upanishad. He says that man should transcend the conscious level and realize the super conscious level through the medium of yoga. This mode of seeking reality in its true nature is not the unique possession of saints but of all aspiring humanity. This can be attained by internal surrender or total dedication to the supermind or God. This union with God can transform a person into a worthy human being. Mysticism is a tough concept for the commoners to explain. Those who have not experienced it, are unable to comprehend it well. mystic, in his never- ending quest for realizing the divine truth, experiences it. It is the direct intuitive experience of the Supreme reality. Mystics are those who get visions at the acme of spiritual revelation. Their aspiration to become one with the Absolute, an aspiration to have a direct communion with God through an inward perception of the mind, transcends them. From a mundane level they are transported to a higher level. 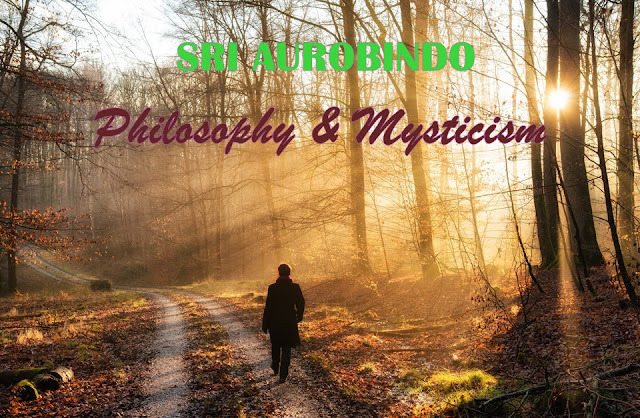 Sri Aurobindo is a great mystic poet and philosopher who has enriched the realm of mystic poetry with his poems, which are nothing but the visions he got during the spiritual experience. He envisages a new dawn, a new life and a new civilization through the spiritual evolution of mankind. He combines in him a poet and a philosopher who lived through their poetic visions. His yogic vision has seen a Light descending on earth to effect a change in the consciousness of man to transform him. 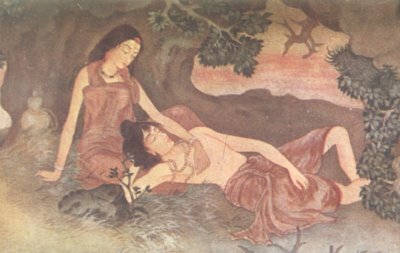 According to Sri Aurobindo, poetry is the mantra, the rhythmic word, heard from the innermost soul of the seer poet. The seer poet gets visions, only when the mind is evolved and it merges with Sacchidananda. His realization of the infinite makes him a mystic. What gives his spirituality an edge over the others is his Integral yoga. Unlike the other yogis who tried to divinize themselves, Sri Aurobindo goes a step ahead in visualizing the divinization of the entire cosmos, the transformation of Earth Life into Divine Life. It is a change from our ignorant nature to God nature, the realization of Brahma, the supreme truth which is eternal, infinite, self existent, non dualistic, indivisible and is beyond form, quality, time and space. of fulfilling his Integral yoga: the involution of the divine nature through the evolution of the earth nature to make the human life divine. He turns a simple legend of conjugal fidelity into a memorable story of the conquest of death for man, for humanity by the Grace descended on earth. His “The Golden Light” beautifully portrays the descent of the divine truth in its luminosity of knowledge. The golden light that comes down to the poet’s brain, throat, heart and feet transforms the whole body of the poet, thus transforming his speech to a “tune divine” and his heart becomes a temple ‘where thou art /And all its passions point towards only thee”. The golden light that comes down his feet makes his body “thy playfield and thy seat”. Sri Aurobindo, a great sage of Modern India, flooded the entire world with the shower of spiritual consciousness. He revolutionized the human thought and had tremendous impact on the people all over the world. As a poet, he is endowed with a poetic consciousness that is unobtrusively committed to achieving social betterment and spiritual consciousness. Like the great poets, Coleridge and Heine, he shows a piercing and instantaneous insight into the heart of his subject. He came under the influence of poetic movements of his time like Decadence and Modernism. As a result, jewelled phrases, over-wrought diction, imagism, symbolism and classicism find a place in his poems. He mastered several poetic modes but then, he evolved a writing style of his own that would be in line with his spiritual thought. As an eminent critic, Prema Nanda Kumar, puts it, : “Sri Aurobindo’s chosen aim in life was to show earth-bound mortals the path that leads to the Life Divine.” (Nanda Kumar 69).